Alleged Christchurch gunman lodges complaint over prison conditions. The alleged Christchurch shooter has lodged a complaint over prison conditions, & more in News in 5. 1. The alleged Christchurch shooter has lodged a complaint over prison conditions. 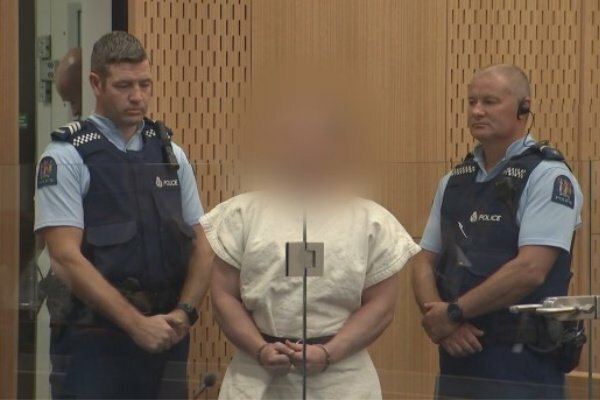 The Australian white supremacist accused of killing 50 worshippers in two Christchurch mosques has reportedly lodged a complaint over prison conditions. According to New Zealand media reports, the 28-year-old responsible for the attack has lodged a formal complaint about his rights in prison. A Corrections source told the news website Stuff that he complained he was being denied access to visitors and phone calls. A Corrections spokesperson neither confirmed or denied the claim but said on Sunday he was “managed in accordance with the provisions set out in the Corrections Act 2004 and our international obligations for the treatment of prisoners”. According to New Zealand’s Corrections Act, inmates have a “minimum entitlement” to certain things including exercise, sufficient bedding, a sufficient quantity of food and drink and at least three meals a day. Every prisoner is entitled to receive at least one private visitor each week for a minimum duration of 30 minutes and at least one outgoing telephone call of up to five minutes duration per week. A prison director can also deny a prisoner’s minimum entitlements if they are in segregation “for purposes of security, good order, or safety; or for the purpose of protective custody”. The alleged gunman is being held in Auckland’s Paremoremo Prison on the North Island, the country’s only high security unit after he was flown there from Christchurch by the New Zealand Defence Force. The source told Stuff he was allowed outside into a small concrete yard the same size as his cell for one hour a day and was said to be “compliant”. He is due to reappear at the High Court in Christchurch on Friday. It is likely that he will remain in Auckland and will appear in court via audio-visual link. He has rejected a duty lawyer and said he would represent himself in court. At his first court appearance, one day after the March 15 attack, he was charged with one count of murder but further charges are expected to be added at his next appearance. Police have not yet confirmed if he would face any terrorism-related charges. There are concerns that he will use his trial as a platform to broadcast his white supremacist beliefs, in a manner similar to Anders Breivik, the Norwegian right-wing terrorist who murdered 77 people in 2011. Breivik has also complained about his treatment in prison. In 2018 the European Court of Human Rights rejected Breivik’s appeal who had complained that his prison conditions were akin to “inhuman or degrading torture”. 2. Two teenage tourists have drowned in a “calm” lake on Fraser Island. Two Japanese teenagers found dead in Lake McKenzie on Queensland’s Fraser Island had been on a public tour of the popular tourist destination with 29 other people. Questions are now being asked about how the boys, both aged 16, drowned in what has been described as “a calm lake in the middle of an island” by the local mayor. The pair were discovered in the water at 8.20am on Saturday after they were reported missing about 5pm on Friday from a tour run by SeaLink Travel Group. Jeff Ellison, the company’s chief executive, told reporters in Hervey Bay on Sunday that it was standard for the tour bus to stop at the lake where passengers were briefed before being let off for some free time. “My understanding is that at the end of that time, five o’clock, there were two short and the tour guide identified that it was two of this group,” Mr Ellison said. Police were called and staff sent from the nearby Kingfisher Bay Resort to help find the boys, who were visiting with a larger group from Kanagawa University High School in Yokohama. The rest of the students on the tour stayed at the site while buses were sent to bring back the other passengers. “We’ve looked at our protocol and we’re very comfortable with that … but it does seem a terrible, unfortunate accident,” Mr Ellison said. The tour group left the island on Saturday afternoon to return to Brisbane, where parents of the boys are reportedly travelling to on Sunday. “It’s very unfortunate that this has happened, we are very sorry,” Kanagawa University High School principal Hisashi Kikuchi said. Inspector Tony Clowes said he did not know if the boys could swim and that their deaths were tragic. “Know your abilities, be aware that if you are entering water there is some inherent risk entering waterways in this country,” he said on Saturday. Police are preparing a report for the coroner and are in contact with the Japanese consulate. Inspector Clowes said the details surrounding how the children were supervised would be investigated. 3. The remains of an elderly woman who went missing four years ago have been found in Sydney bushland. Skeletal remains found in Sydney bushland have been identified as an elderly nature lover who went missing more than four years ago. Two bushwalkers found the remains of Gaida Coote, 84, in the Ku-ring-gai Wildflower Garden near St Ives in Sydney’s north, last weekend. A crime scene was established and a bag of gardening tools was found nearby in a search, NSW Police said on Sunday. A forensic examination identified the remains as Ms Coote who was expected to attend the garden on December 3, 2014. A coronial inquest into Ms Coote’s disappearance, held in 2016, heard the retired laboratory manager was adventurous, physically fit and “passionate about nature” and sometimes helped conduct bush regeneration at the wildflower garden. The coroner criticised police, at the time, for hesitating to file a missing persons report after Ms Coote’s daughter reported her missing. The coroner concluded Ms Coote most likely died of misadventure in the bush near the garden on the sweltering summer day. Massive search efforts in the week that followed, which included police, SES, Rural Fire Service, National Parks, council employees, the bush care group, PolAir and the dog squad, failed to locate any sign of the missing woman in the rough terrain. 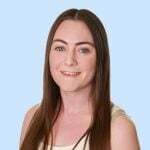 Deputy State Coroner Harriet Grahame said it was likely that heavy thunderstorms shortly after Ms Coote is believed to have died washed away any evidence and may have moved her remains out of sight. Ravenswood School for Girls, a few months after Ms Coote disappeared, mourned the loss of “one of our Golden Girls”. A new report will be prepared for the coroner. 4. Bill Shorten pledges to ban single-use plastic bags nationwide if Labor wins the federal election. “Something like 90 per cent of all sea birds have plastic in them. A third of all the sea turtles around the world are dying from plastic poisoning and consumption,” Labor leader Bill Shorten told reporters in Melbourne on Sunday. “If you buy a television set (in Australia), it will be packed with styrofoam,” Labor’s environment spokesman Tony Burke said. “We’re working on the basis that it’s opt-in,” Mr Burke said. Labor also wants to see 70 per cent of Australia’s plastic packages recycled or composted by 2025, but said there had been no pathway to make that happen until now. “Australians want action from government to help reduce waste and build a circular economy,” Mr Shorten said. 5. Meghan has reportedly shunned London hospital’s Lindo Wing for birth. Meghan Markle has broken a four-decade tradition by shunning the London hospital where many royal babies, including her husband Prince Harry, were born, The Sun newspaper reports. Meghan and Harry, who married last year, are expecting their first child this (northern) spring. But the former actress has opted not to give birth at the Lindo Wing of St Mary’s Hospital, favoured by British royalty since 1977, the newspaper said on Sunday, citing an unidentified source. Meghan, 37, has opted for a maternity hospital closer to their new home in the ancient town of Windsor, The Sun said under the headline “Meghan snubs Kate & Di hospital”.